Officials will need a current USL membership designation as an “official” in order to access. Officials will need to log into their US Lacrosse E-learning section and select the “New Girls Lacrosse Officials Bundle”. This course provides you with the course needed to satisfy this training requirement. PCA: Honoring the Game: The Official's Role in Creating a Positive Youth Sports Culture. 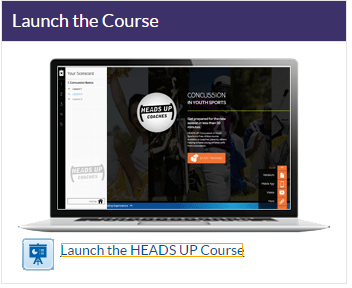 Found in E-Learning section of US Lacrosse. Complete the training, save the certificate to your computer then email it to . The certificate can be found in www.cdc.gov website. Available after Dec 1st, 2018, exams are required annually for adults and juniors. Found in the E-Learning Section of US Lacrosse. To simplify the training dates we will now offer classroom training for all officials on this weekend. Exact date, time and location will vary by region. Officials are free to attend the location that works best for their schedule. All Officials will need to attend a field rating session for the highest level game they wish to work for the upcoming season. Officials should plan for a minimum of 4 hours at any given field rating session. Officials will work a “live game” with a USL certified trainer. The “rating” utilizes a 2 page document that has all the skills that an official must be able to demonstrate during a game in order to work games without the supervision of a USL certified trainer. Juniors New and returning that are 16 or older have priority. This event can be used for service hours. Exact reporting times are TBD. Juniors New and returning that are 15 or younger have priority. *If you attend the Feb 24th session 1 you do NOT need to attend session 2 unless you fail the ‘rating” and are instructed to try again at the next rating session. * Attending the convention officials training will satisfy the annual classroom training requirement. Location: Elk Grove / Bartholomew Sports Complex. Attendees: Trainers, Observer, 3 level and level 2 with 2+ years exp.